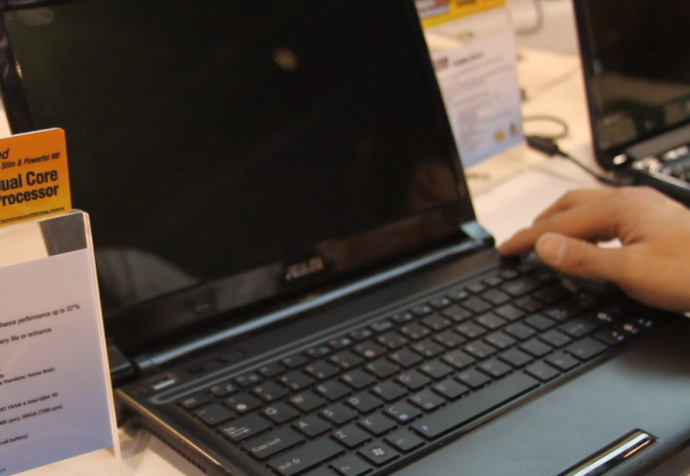 ASUS UL80Jt Hands-on Review at CES 2010! ← Motorola HS1000 Dect 6.0 Digital Cordless Phone with Android OS! UPDATE: ASUS UL80Jt is now available on Amazon for $849! Like the new ASUS UL30Jt, the UL80Jt is basically mirror-image version, except with a 14-inch screen instead of a 13.3-inch screen and a DVD drive. The ASUS UL80Jt will features an Intel Core i& 640UM/620UM processor, Intel GS45 chipset, DDR3 1066Mhz memory expandable upto 4GB, 640GB hard drive, DVD drive and Nvidia GeForce G 310M with 1GB DDR3 VRAM. 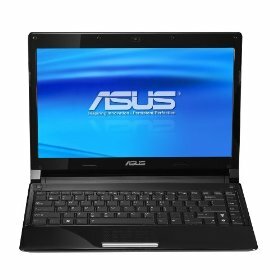 I am beginning to like the performance upgrades ASUS is introducing to their already, great performing UL30 and UL80 series laptops. These UL80Jt should be arriving on Amazon 4-8 weeks like the ASUS UL30Jts. I should have a video up shortly so check back on this post! UPDATE: The video hands-on review of the new ASUS UL80Jt here! 13 Responses to ASUS UL80Jt Hands-on Review at CES 2010! Is it possible to buy 80jt without an optical drive? Also, how much the cost will be for ul80jt, ul30jt, and u30jc? Do you recommend to buy 30jt if i was planned to buy vt-a1? I think any ASUS UL80 series are going to come with an optical drive. If you don’t want one, I suggest getting UL30 series, they are virtually same with less optical drive and bare-noticeable smaller screen. I would recommend to wait to buy the 30jt of course if you can wait. I waited out on UL30Vt also when UL30a was around, that was worth definitely worth the wait. Why not get more for your money? Of course, if you need a laptop now, you ul30Vt is a great laptop too. first, thank you for the reviews. im in the market for a new laptop and i have 2 questions for you. as for the ul80jt, is there any word about availability? some websites indicate 4-8 weeks, while other claim for the end of the year (October)…what do you think? and is there gonna be a noticeable difference gaming wise between the ul80vt to the ul80jt? i noticed the the 80jt will feature an i7 processor, but still will you be able to feel it? 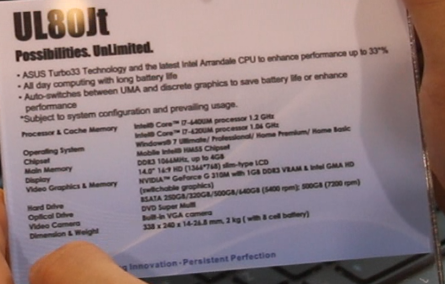 Definitely the JT series will come with i5 processors and more RAM. If it’s delayed, I am sure they would be beefing it up even more based on ASUS’s product launch history, I hope that helps your speculations. so basically if i understand the 80jt should come around late feburary? and do you know when does the n series will come out featuring the new Intel processors? I think 80Jt should be here soon but can’t bee 100% sure because it’s not up to me, it’s up to ASUS. Not sure about the n series, will look into it more, perhaps do a blog post if I find out more info. Still waiting. Can’t wait to either pick up the ul80vt/jt or the ul30vt/jt. Might as well wait for the jt to come out b4 making my decision. me too still waiting and has been already more than 8 weeks… Really confused whether to get UL30VT or wait for UL30JT….. anybody else with recent updates on jt?? So? Time is over… i really need to buy a UL80Jt as soon as possible. yup, we’re all in the same boat Laci.. i’m going to be starting college in August so i guess i’m making that my firm deadline, but i really need a laptop asap. Check out more interesting categories: CES 2010, Computer, Featured, Featured Gadgets, Featured Reviews, Gadgets, Laptop, Shows. ASUS U30Jc Hands-on Review at CES 2010! Best 13.3 Inch Laptop Of the Year – ASUS UL30Vt Review! ASUS U83JC Bamboo Laptop Hands-on Review! ASUS UL80Vt Hands-on Review at CES 2010! 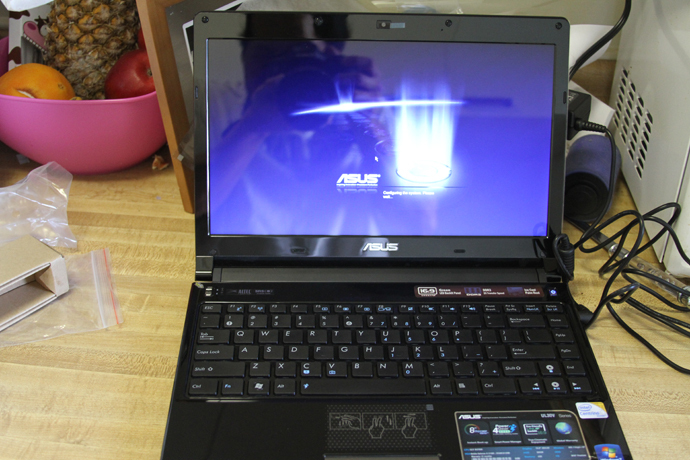 ASUS Eee PC 1201T Hands-on Review! ASUS UL30 DIY – How to Fix Brightness by Updating your BIOS! ASUS UL30Vt-X1 Unboxing Video Review!